The Mercedes Benz 300 Series automobiles were produced during the 1950s. These were the largest and most prestigious automobiles built by Mercedes Benz and were comprised of chassis codes 186, 188 and 189. The 300 type 186 began production in 1951 and ended in 1957. The type 188 also began production in 1951 and ran through 1958. The type 189 was produced between 1957 and 1962. In all, more than 12, 000 M-B 300 Series were built, most of them being type 186 Saloons (luxury sedans). Other body styles were phaeton, cabriolet, limousine and coupe. The 300 Series were powered by a three-liter, single-overhead-cam, and inline six-cylinder gasoline engine. This engine produced between 115 and 180 horsepower, depending upon the iteration. Power brakes were introduced in the 1954 300 Series and an automatic transmission was offered in 1955. The 300S Series 188 chassis was available as a coupe, cabriolet or a roadster. The three-liter engine in the S" was rated at 150 horsepower and the later "SC" model was bumped up to 180 hp. The 188 was largely hand built and was marketed as one of the top luxury cars in the whole world. The 300 Series type 189 began production in 1957. It was a stretched version of the 186, the added length providing increased rear leg room. The 189 was a match for any vehicle coming out of the Rolls Royce factory in England. The three-liter engine was now a slightly detuned version of that which was found in the premier Mercedes Benz sports car, the 300 SL gull-wing coupe. An automatic transmission was standard equipment. 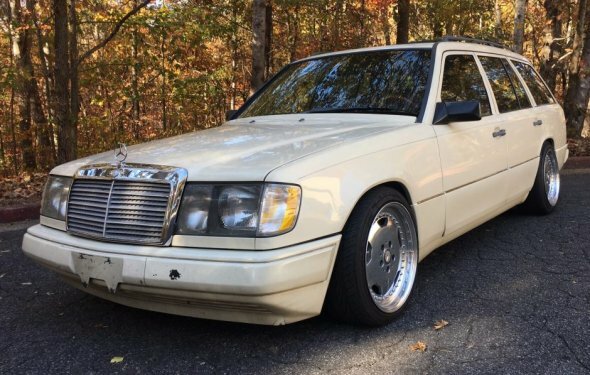 The type 189 was eventually replaced by the "Grand Mercedes" 600 Series, probably one of the finest and most luxurious vehicles ever built. Throughout its entire life cycle, the 300 Series was a beautiful automobile. The designs were eye catching and there were many chrome highlights; grilles, bumpers, headlight bezels, window surrounds and the emblems. The "three-pointed star" was prominent on the hood and rear deck. The 300 was wonderfully engineered and built to last a lifetime, not just until the next model was ready for release. All of the 300 Series are considered "collectibles", but in particular the type 188 coupes (with landau roofs), cabriolets and roadsters are highly sought after by collectors today. These beauties are representative of a great era in automobile manufacture as epitomized by Mercedes Benz vehicles.